An earthquake is the motion or trembling of the ground produced by sudden displacement of rock usually within the upper 10-20 miles of the Earth's crust. Earthquakes result from crustal strain, volcanism, landslides, or the collapse of underground caverns. Earthquakes can affect hundreds of thousands of square miles, cause damage to property measured in the tens of billions of dollars, result in loss of life and injury to hundreds of thousands of persons, and disrupt the social and economic functioning of the affected area. Most property damage and earthquake-related deaths are caused by the failure and collapse of structures due to ground shaking which is dependent upon amplitude and duration of the earthquake (FEMA, 1997). 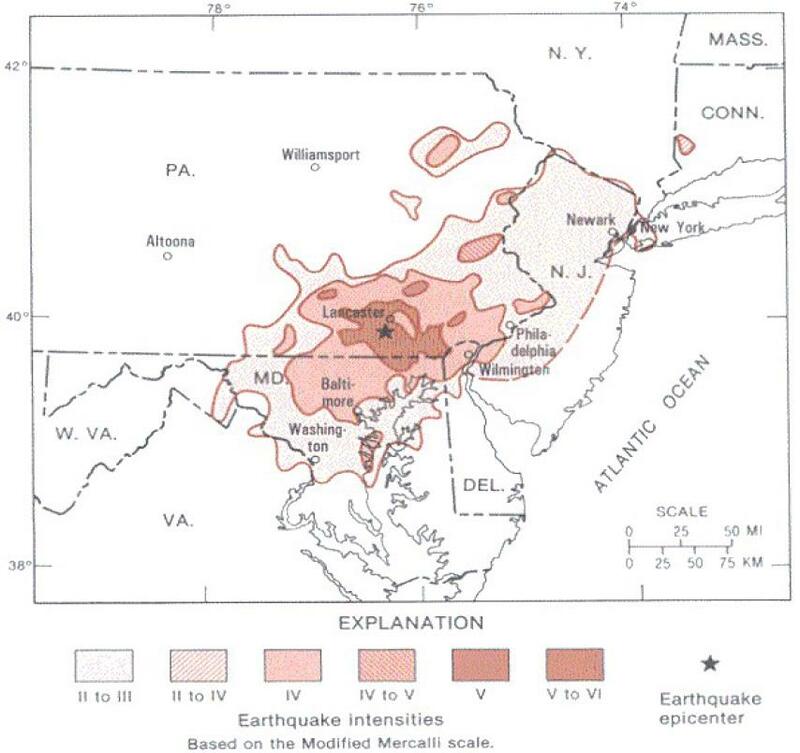 Earthquake hazards are highest in the southeastern and far northwestern regions of the Commonwealth and the strongest earthquakes with epicenters within the state have occurred in an area near Lancaster. 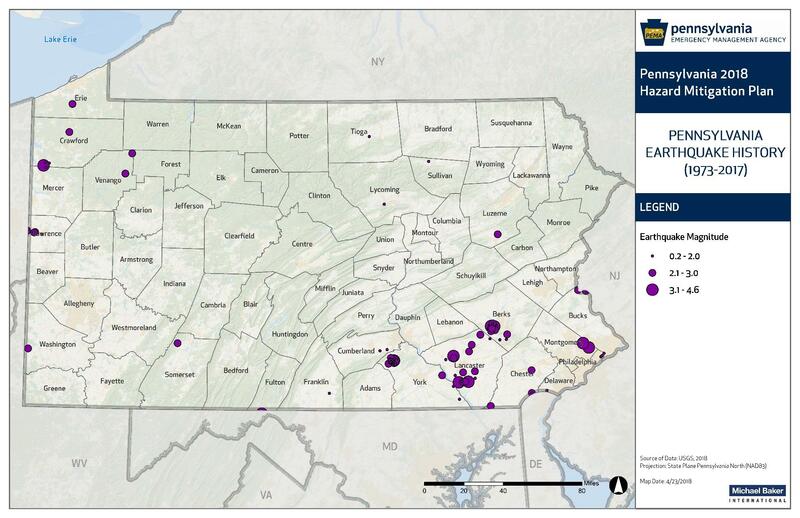 About 35 earthquakes have caused light damage in Pennsylvania since the beginning of the Colonial period with about half having epicenters outside the state.